If you are looking for as different kind of dental office, you’ve come to the right place! Our dentist in Pasadena, Dr. Bouzoghlanian, and staff, are enthusiastic about dentistry and will do everything they can to make their patients smile with confidence. 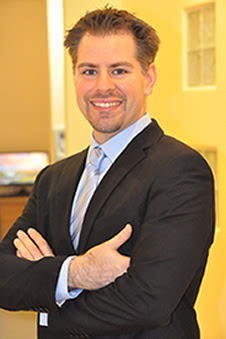 Our dentist earned his degree at the prestigious UCLA School of Dentistry, and graduated with honors and numerous awards at the top of his class. You can expect nothing less than outstanding results when being treating at our Prestige Dental Pasadena dental office. Our dentist is specialized in all aspects of general and cosmetic dentistry. He also strongly believes in patient education and making sure that oral habits are kept in order to keep exceptional dental health for all patients. Dr. Bouzoghlanian and staff have the education, experience and skills to provide you with the confident, healthy smile you deserve! From the moment you walk into our office you will feel right at home. Our dentist and staff work together in order to make you feel comfortable during each visit at our office. We work with only the most up-to-date dental equipment available on the market today and are always updating our technique for better results. If you are looking for a new dentist or just moved to the area and don’t know where to start, call us today! We look forward to providing you with excellent dental care and superb patient service!